Tesla Motors (s TSLA) CEO Elon Musk has derided Nissan’s battery pack, which uses an air cooling system, as “primitive” compared with the sophistication of even Tesla’s first prototype, which uses liquid cooling. As a result, the LEAF pack will have temperatures “all over the place,” claimed Musk, causing it to suffer “huge degradation” in cold environments and basically “shut off” in hot environments. General Motors (s GM) for its Volt and Ford’s (s F) line of hybrids and EVs, have also opted to use liquid for battery temperature regulation. Coda Automotive, meanwhile, uses an air cooling system for its Coda Sedan. According to Matt Keyser, a senior engineer with the National Renewable Energy Laboratory who focuses on battery thermal management systems, there are advantages to both technologies. Air cooling systems can be less complicated and lower cost, while liquid systems will generally take up less space and let you “drive the battery a little harder,” Keyser explained. Liquid cooling allows the battery to handle a larger “pulse” of power (i.e. more kilowatts, which in electric cars are like horse power). Of course, there are trade-offs, too. Among the weaknesses of a liquid cooling system are the potential for fluid to leak (which can cause an electrical short), said Keyser. Maintenance and repair can also be costlier and more complicated for liquid-cooled systems, which require more components and may weigh more than air systems. The battery pack can be “totally isolated” from liquid by an aluminum shell, however, which ensures that fluid (a 50-50 mix of water and glycol in the Tesla Roadster system) doesn’t “get to the battery itself,” said Keyser. Air systems, meanwhile, are generally less effective at maintaining a uniform temperature (key for battery longevity) within and between cells in a battery module, and they can’t carry as much heat away from the battery as quickly as a fluid-based system. A similar idea is emerging around liquid cooling for servers in data centers: liquids are much better than air at transferring heat. Why is that? Think of an empty cup versus a cup filled with liquid, Keyser suggested. The liquid simply has more mass with which to take heat to another medium. Huge amounts of air can be blown through a battery with a fan to help transfer more heat, but this can result in large pressure drops and inefficiency, said Keyer. An air cooling system could in theory work about equivalent to a liquid system, he said, but then the fan would have to be so big that it would need to draw power from the engine (in a hybrid) or run on its own battery (in an electric car). Alternatively, since a bigger battery pack can deliver a certain amount of power with less current, and therefore less heat, than a smaller pack, automakers could use a slightly larger battery pack with an air cooling system. With plug-in hybrid and all-electric vehicles, said Keyser, liquid cooling appeals in part because “the battery pack is fairly large as it is,” Keyser noted. 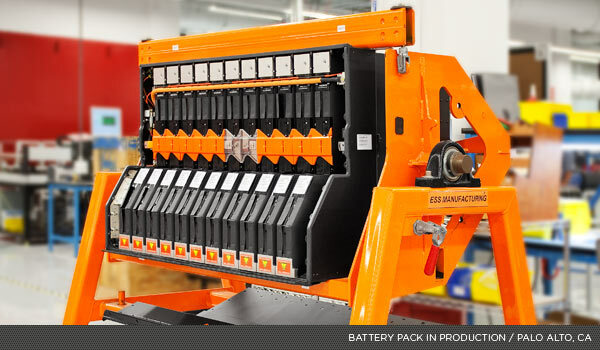 One could also argue that a “primitive” battery pack is one that’s made out of zillions (actually 6,831) tiny 18650 cells instead of larger prismatic ones. I get it (kind of) that Tesla moved forward before new Lithium Ion technology was available, so it had to go with the smaller cells, but they have been better off to go with large NiMH cells, as least to start off with. At least they’d not be worried about fires right now. And, by not going with a PHEV, they are most likely not going to be successful in any case…. Folks, we went through this with automobile engines a while ago. Liquid-cooled won. And all the whining about what could go wrong has been resolved. The questions are as irrelevant for batteries as they now are for the internal combustion engine powering most cars in the world. That’s like saying we had trains and cars and cars won. Or something equally irrelevant. Here, in the infancy of EV’s, both air cooling and liquid cooling have their places. In terms of cost, there’s no question that liquid cooling is more expensive than not having liquid cooling. Yes, in a very high power, low energy pack (like the Volt or smaller hybrids), you push the cells proportionately harder (higher C rate). In a large scale EV with a larger pack (an energy pack), the cells are being used in a much more mild manner (lower C rate) and they do not generate as much heat in the process (because their ESR is lower). Also, note that the cells that Telsa uses are not only small (so what) but they’re energy cells – not power cells. They’re good at packing the most kWh into the smallest volume. They’re terrible at cycle life and have much higher internal resistance – by 10x to 50x sometimes. This generates a LOT more heat than other chemistries – such as what Nissan is using on the leaf. Never mind the fact that Tesla has a 250kW+ motor compared to the Leaf which will be lucky to get out the door with 90kW. As chemistries get better, ESR will go down, and cells will generate less heat during hard charge and discharge. This isn’t an ICE which has 20-30% efficiency on a really good day and must get rid of 80% of it’s energy as waste heat. Take a Tesla Roadster with 250kW of power. An equivalent peak HP (335BHP) ICE burns off ~1.4MW of heat. Think of 100 hairdryers. THAT is why cars with ICE’s use liquid cooling. If you want to find a place where liquid cooled ICE’s are the answer, just look up. Nearly all piston aircrafts are air cooled. See? Weight is BAD. Reliability is key. THe way I see it, hybrids may stay with liquid for a little while, but in the long run, everything’s going air cooled. This whole argument is too simplistic. If Iron Man Musk’s motor/inverter are air cooled while those in the Leaf are liquid cooled does that mean the Tesla is just as “Primative”? The comparison is Apples and Oranges. A Tesla has twice the energy storage capacity and need to at times pull up to 850 amps out of the pack. That’s more than double the Leaf’s power requirments. Tesla use cylindrical cells, Nissan use Prismatic. Tesla have tiny 18650 cells buried deep inside a box up behind the seats, Nissan have large rectangular cells laid out flat under the car where they have plenty of airflow and plenty of room between cells. There are just too many differences between the two vehicles to make any meaningful comparison possible, and auto makers just launching their own EV having snipes at rivals doing the same are being EXTREMELY short sighted.